Black unis tonight. They worked in Brooklyn. I might have missed this somewhere else but who is the black guy wearing a white shirt at the end of the SLU bench? He's sitting with the walk-ons. Right down the street from me. Maybe I'll have to go be the one white dude in the crowd when they play Hampton. 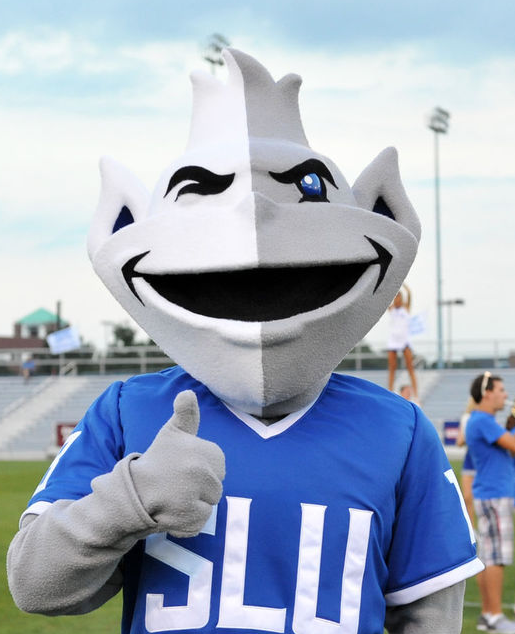 I wonder how he and the rest feel about the Billikens now. Bishop always seemed like a cool dude. Here you go: https://www.d1circuit.com/news_article/show/271557-peach-jam-top-team-leaders Some impressive numbers on the EYBL circuit....not to mention he outplayed some other major names on that list. It's unbelievable to see who played that summer. Well, my brother went to Terpland and I asked about Wiley. He said Wiley can make it rain from three when his confidence is high...not so high on his defense. We needed a shooter and TFord got it. About damn time. Welcome to SLU KC Hankton! Watching Oakland Soldiers now just to see Scottie Pippin and Kenyon Martin getting angry their kids getting destroyed. They're not afraid to drop f bombs. Game about to wrap up...EJ and Harmon best Beagles players. Hargrove looks freakishly athletic. Okoro got destroyed by Stewart. Yuri did nothing...literally. His shoulder strap looks uncomfortable. The real Brad Beal still cant hit a meaningful shot. Side note: Dewayne Wade's son just sat next to me and put his jersey on....needed to move....his BO just way too bad. Yuri passes up open shots. I don't like that. Pretty tenacious on D. EJ showing some life....not afraid to go at Stewart. Harmon is beagles best guard today....losing by 26. Hargrove quickly returns to bench after two quick TOs. Down by 16 now. EJ now has the defensive assignment of Stewart. Man child. Yuri now on the bench. Not offering much. Hargrove finally seeing some PT. City Rocks guards are better. Can actually shoot.